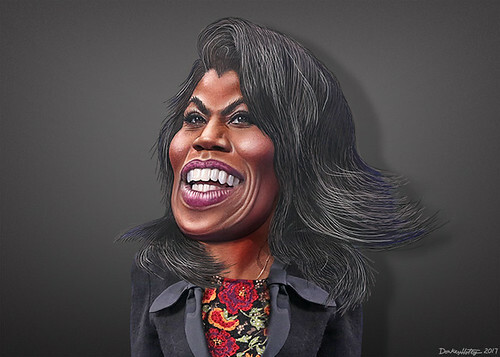 Omarosa Manigault Newman's new book, "Unhinged: An Insider's Account of the Trump White House", doesn't tell us anything we didn't already know or come to expect about Donald Trump, according to reviews. What is significant about this episode is that the author is being challenged in arbitration for violating a non-disclosure agreement intended to keep a cloak of secrecy on what goes on behind the scenes at the White House and possibly in other venues of government. Of course, there are certain aspects of personal privacy that should always be protected. We don't need to know how often the president showers or what he eats for dinner, or that he may have a disagreement with his wife. But, in a functioning democracy, whatever involves the business of government is of legitimate public concern. We need to know that our government officials are competent, ethical and trustworthy people dedicated to the best interests of all our people. We already have laws and regulations restricting access to vital state secrets to those with security clearance. We know from experience that these regulations may at times be used as a cover-up for unscrupulous actions and that their purposes are sometimes compromised by protecting the culprits and punishing the whistle-blowers. What purpose would a non-disclosure agreement serve other than to hide from the public intentions and actions contrary to the public interest? It would be equivalent to a loyalty oath to a coterie within government having private purposes contrary to the public good. Morally, it would be equivalent to the cover-up by the Catholic church of the many instances of sexual abuse by priests. To put it another way, there is a fundamental quandary at issue here: whether we have an open society dedicated to the democratic ideals of justice, honesty, and transparency of government working to promote the general welfare, OR a closed society working behind closed doors with secret agreements for surreptitious purposes of benefitting a privileged ruling class - in effect, a fascist dictatorship disguised under the flag of patriotism. The danger from non-disclosure agreements and party loyalty oaths is as great as any threat from a communist takeover.